I immediately thought to myself, that is inappropriate behavior in a child care setting. Then I replied: ” No that is not appropriate and I believe that kisses should be saved for mommy, daddy and grandparents. However, I do believe that caregivers naturally bond with children and it is appropriate to show that you care for a child by giving the child a gentle hug, using a nurturing tone a voice or by gently rubbing a child’s back that is having difficulty sleeping at nap time. 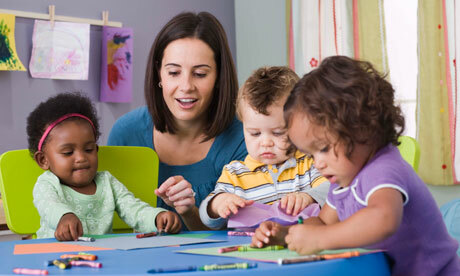 I shared this post with you to inspire you to be mindful of the child-staff interactions in your Child Care program. Furthermore, what we (Child Care providers) may think is appropriate; may not be appropriate to a parent. Also, be sure that you define appropriate Child- Teacher interactions in your classroom handbook or program policies. What are your thoughts about this post? Feel free to share. Do you have employees? If so, it is vital that you visit the United States Department of Labor Website and become familiar with Labor Laws. Moreover, the US. 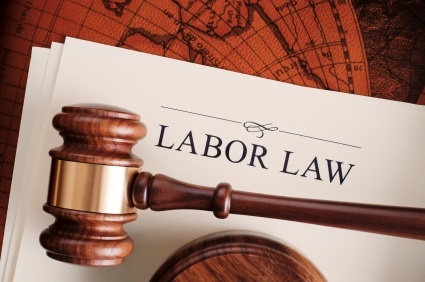 Department of Labor is a great resource for employers and provides helpful tools and resources to assure that employers comply with Labor Laws. Something to think about….What you don’t know can hurt your business and could lead to a Labor Hearing or a Lawsuit. This post is not intended to frighten you, but to empower you and is not only intended for center owners. If you have employees in your home; labor laws apply to you too. Also, if you plan to open a center; you must definitely become familiar with Labor Laws! Be sure to visit the U.S. Department of Labor website today; become familiar with all the Labor Laws that pertain to your business and check out the resources that are available to you as an employer. Furthermore, my intention today is to encourage you to review your current personnel/labor practices, make any necessary changes, protect your business and empower your self as an employer! I look forward to reading your thoughts about this blog post. If you loved this post, feel free to share with other Child Care Business Owners by clicking the share buttons below.